Impact Las Vegas is a nonprofit women’s collective giving group based in Las Vegas, Nevada. 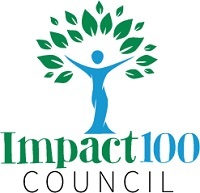 Membership in Impact Las Vegas consists of women who donate $1,000 each year. 100% of membership donations are pooled to fund an annual grant to an organization in one of five focus areas: culture, education, environment, family, or health & wellness. Impact Las Vegas provides women with the opportunity to have a transformational impact on local, worthy causes by pooling individual $1,000 donations into annual grants. Impact Las Vegas members have opportunities to learn about their community through the annual grant review and award process. Through active participation on grant committees we learn more about the work of local organizations and charities, help create new solutions for community problems and see the human face of the projects we fund. Our members are our sales force. Membership socials are hosted by current and potential members to encourage friends, family, and professional colleagues to share our mission and join Impact Las Vegas. Each new member and potential member is encouraged to attend, hold, host or underwrite a membership event.